This week the State Board of Education (SBOE) identified Legislative Priorities. These are items that the members of the SBOE will advocate for during the upcoming legislative session that begins January 13, 2015. Set aside 100% of annual distribution made by PSF to ASF funding and place in IMA and not reduce funding from other components of the school formulas in a similar amount as is currently being done. Ensure sufficient appropriations to increase staffing at TEA, particularly in the curriculum division to oversee TEKS review and implementation process, and the textbook adoption process. 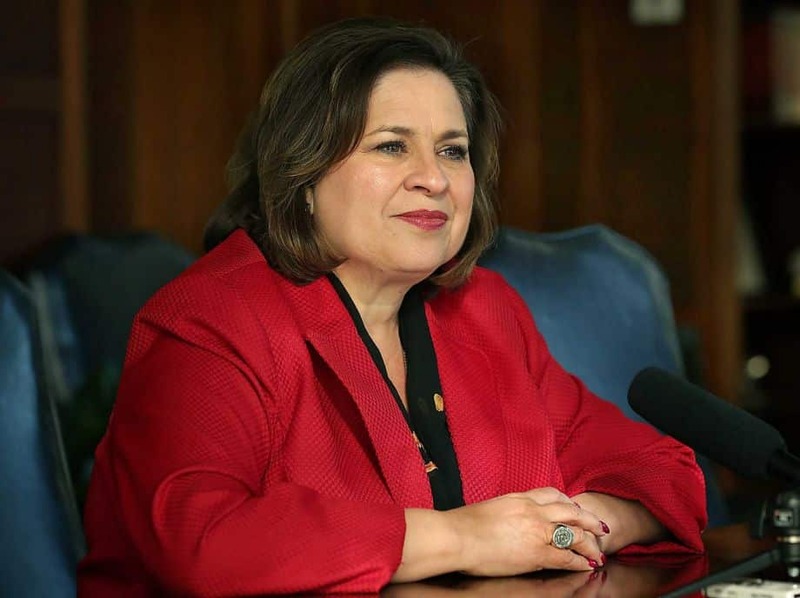 Two weeks after losing her bid for lieutenant governor, state Sen. Leticia Van de Putte on Wednesday night announced that she was running for mayor of San Antonio and would not finish her term at the Texas Capitol. Van de Putte, who first announced her candidacy to San Antonio news outlets, told The Texas Tribune that she was moving ahead with her decision to return to the Senate until she began receiving calls from political and community leaders asking her to run for the city’s top office instead. 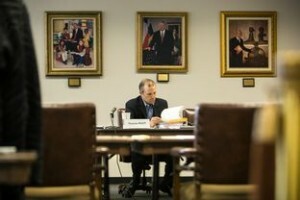 A day after failing to give initial approval to controversial new social studies textbooks for Texas public schools, the State Board of Education on Wednesday pushed back on restrictions the Legislature imposed on the board three years ago regarding which textbooks it can add to an approval list that many school districts use in purchasing instructional materials. After an afternoon spent wrangling over the proper definition of jihad and the influence of Moses on the Founding Fathers, it was Common Core that ultimately derailed the State Board of Education’s initial vote on giving a stamp of approval to new social studies textbooks Tuesday. A conservative grassroots group formed by a San Antonio man with ties to a national anti-Muslim organization has made a late entry into debate over new social studies textbooks for Texas schools, which are set to gain final approval from the state Board of Education this week. The Texas Board of Education is poised to vote Tuesday on more than 100 proposed social studies, history, geography and government textbooks that publishers have submitted for approval for use in classrooms statewide. Texas is such a large textbook market that it sometimes affects books used elsewhere. A look at the latest book battle: BIASED BOOKS? Academics and activists on the right and left have complained about the proposed textbooks, saying some offer ideology over facts. One Texas university professor said some books so exaggerate Moses’ influence on U.S. democracy that students will grow up believing the biblical figure “was the first American,” while others complained of overpraising capitalism, sugarcoating historical racial segregation and unfairly portraying Muslims, American Indians and Hispanics. Complaints about many of the same books include that they give too much attention to former Secretary of State Hillary Clinton and downplay the role of radical Islam in modern terrorism. Teacher groups are up in arms as Texas seeks millions from the federal government to fund a new pre-K voucher program that would begin next fall. Last month, the Texas Education Agency applied for $30 million in prekindergarten grant funding from the U.S. Department of Education, its share of the $160 million federal Preschool Development Grants Program. If approved, officials plan to use 25 percent of that money to pay for full-day, high-quality preschool for eligible children in Harris, Fort Bend and Brazoria counties. A new controversy could crop up this week as the State Board of Education is expected to adopt new social studies textbooks. The Tribune’s Morgan Smith reports this could be due to the actions of a grassroots group that has lodged numerous complaints relatively late in the approval process. “The Truth in Texas Textbooks Coalition, all but unheard from for months while new social studies textbooks and instructional materials were being vetted, submitted a 469-page report in late October identifying more than 1,500 ‘factual errors, omission of facts, half-truths and agenda biases’ in proposed materials,” Smith wrote. DISD will stop offering adult education programs by year’s end after administering the classes to thousands of people for the last 41 years. The Texas Workforce Commission expects to name a new entity next week to oversee adult GED, English as a Second Language and citizenship preparation classes currently offered by DISD. The group that launched the home-rule charter effort in Dallas ISD unveiled a draft constitution this week that would overhaul how the district operates and is governed. The draft charter by Support Our Public Schools would exempt DISD from state laws that restrict the length of the school day and how early in the year school can start. It would also bring large changes to the board of trustees, whose members would have longer terms but face limits for the length they could serve. Over the last three years, American high school students’ usage of electronic cigarettes has tripled, says a new government report. 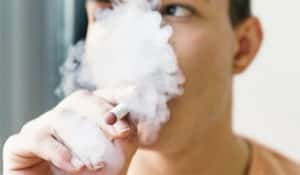 A large nationwide survey taken last year by the Centers for Disease Control, showed that 4.5% of high school students had used e-cigarettes in the previous month – an increase from 1.5% in 2011 and 2.8% in 2012. What it does not show is whether some were using the cigarettes repeatedly or if some tried the cigarette once and didn’t do it again.